Enduring pain every time you raise or move your arm poses quite a problem, especially considering how frequently you move your shoulder muscles. They’re prone to injury for this reason. Although it might seem tempting to use pain medications that provide immediate relief, Dr. Darin Stokke of Lifestyles Healthcare Group in Fort Myers, Florida can target the cause of your problem and provide a long-term, natural solution for your shoulder pain. Schedule an appointment online or by calling his office to reduce your shoulder pain using exercise therapy, massage therapy, and other chiropractic modalities. Are there different types of shoulder pain? There are two types of shoulder pain, acute and chronic. Acute shoulder pain is pain that lasts less than three to six months or is from soft tissue damage. The shoulder is the joint in your body with the broadest range of motion. The anatomy of it is quite complex, consisting of four muscles, three bones, and various tendons, all at risk of injury that could cause you acute shoulder pain. Strains, sprains, and overuse cause acute shoulder pain, as can a dislocation. A dislocation occurs when the bones that meet at the joint are out of place. Inflammatory conditions like bursitis cause acute shoulder pain as well. Chronic shoulder pain lasts more than 12 weeks, possibly lasting several months or longer. Arthritis, including rheumatoid and osteoarthritis, causes recurring shoulder pain. Fibromyalgia can cause shoulder pain too since it can lead to pain throughout your musculoskeletal system. How does a chiropractor diagnose the cause of shoulder pain? Dr. Stokke discusses your particular condition, lifestyle, and medical history with you to determine potential causes. You should be as specific as possible when describing the degree and location of the discomfort because different conditions and injuries cause different levels of pain. After discussing your condition, Dr. Stokke performs various diagnostic testing to evaluate your condition and find the cause of your shoulder pain. For example, an X-ray shows him an image of the bones that form your shoulder joint, and a CT scan helps identify any issues with the soft tissue. It’s also possible for Dr. Stokke to use an MRI to view the soft tissue and bones in your shoulder. If you have a dislocated shoulder, Dr. Stokke uses manual manipulation to reposition the bones in the shoulder. He uses exercise and massage therapy to reduce pain and enhance function. Dr. Stokke also utilizes a class 4 deep tissue laser and RockTape as a treatment for shoulder pain. The class 4 deep tissue laser targets the area and reduces pain and inflammation. He applies the RockTape to your shoulder, and it lifts the soft tissue to ease your pain, among other benefits. 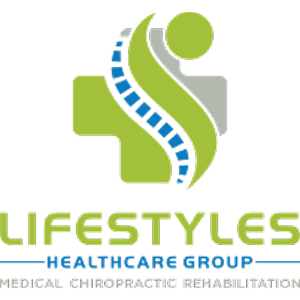 If you’re in the Fort Myers, Florida, area, call Lifestyles Healthcare Group or schedule an appointment online today.